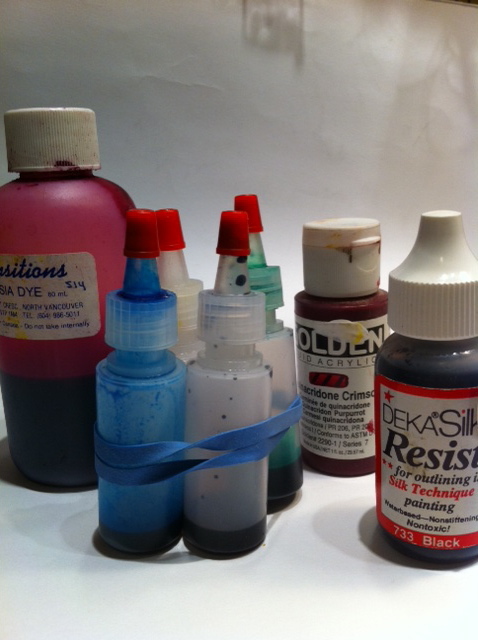 To paint silk, one needs silk dyes available at an art supply store such as Opus. 1. Soak the silk in water. 2. 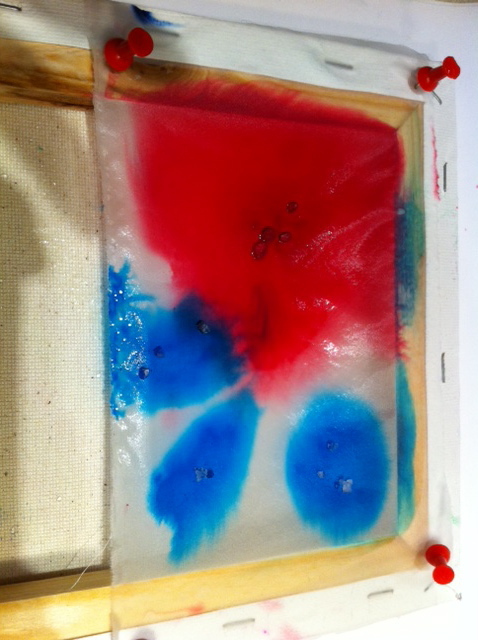 Drop small spots of ink on the damp silk that has been stretched tightly over a frame. 3. 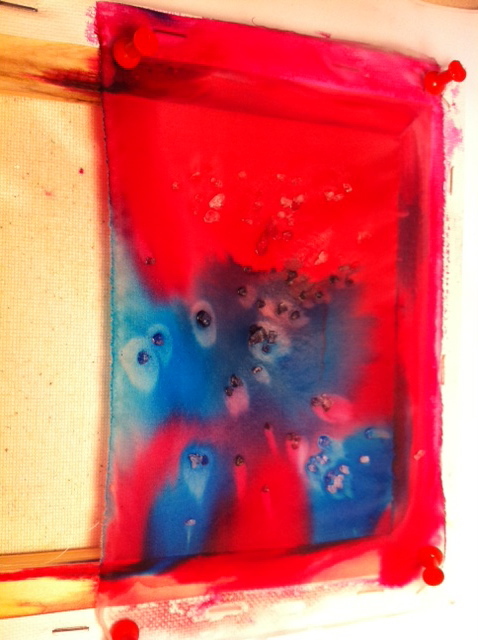 Add a large salt crystal on top of the coloured spots. 4. Let the dyed silk and salt dry thoroughly. 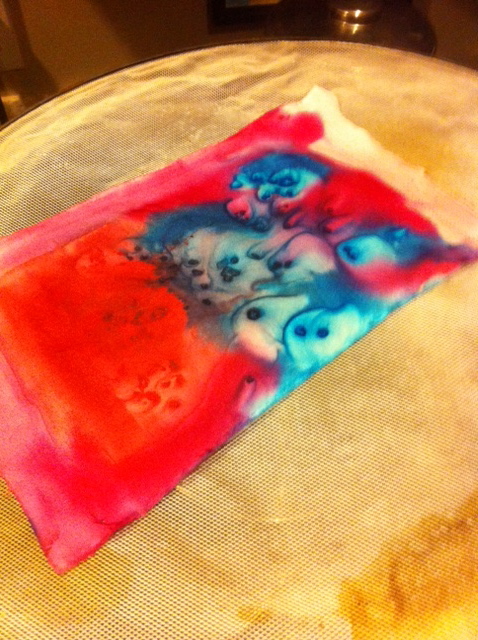 Dye drops spreading on damp silk. 5. 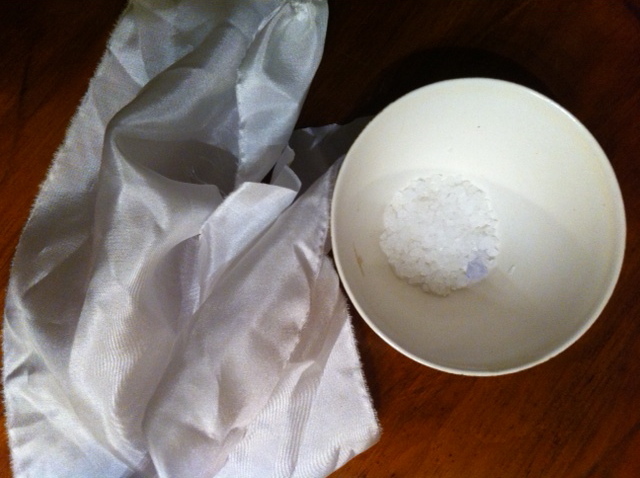 Brush off salt and place the silk in some sort of steaming vessel. I used a kettle and a large grease spatter cover. 6. Cool and rinse the silk in a small amount of cool water and vinegar. 4 parts water to 1 part vinegar. 7. Iron dry between two pieces of paper. 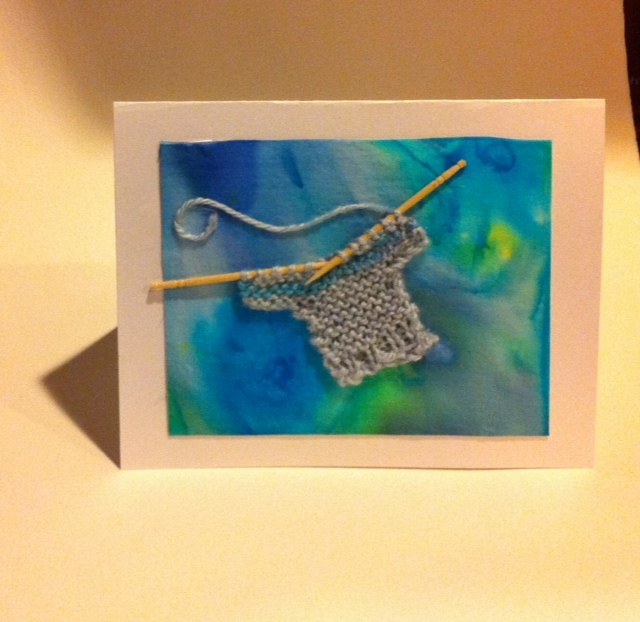 Glue onto a card with Modge Podge and trim when dry.